The Chubb Data Plus range of Data Cabinets are quality media protection cabinets. As standard the cabinets protect data media for up to 120 minutes against fire and heat. 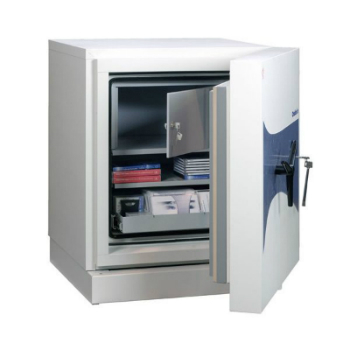 To protect against thieves these quality cabinets have a Cash Rating of £2,000. Can be customised with a number of fitting options including fixed shelves, pull out drawers and lockable cupboards. Any questions on the Chubb Data Plus? Call us on 0117 9674994 – we’re here to help!